More than Heating and Ventilating Services | National Heating & Ventilating Co., Inc. Heating and ventilating is in our name, but HVAC is only a part of what we do and who we are. National Heating and Ventilating is more than a contracting and consulting company. We are a team that puts the highest value on doing the job right; we know we are essential to the success of every project. We partner with others for an ever-broader spectrum to cover all construction scopes. 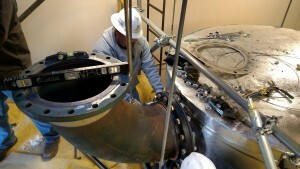 We have the capacity to fabricate, install and/or maintain specialty systems and projects, including commercial and industrial work of varying scopes. We have experience with a variety of procurement methods and a wide range of project types (e.g. commercial, industrial and large residential construction, hospitals, schools, government, etc.). We can help general contractors stay on schedule and within budget by improving communication and coordination between team members, reducing safety risks for workers and end-users and minimizing costly change orders. National Heating and Ventilating has been orchestrating your HVAC, mechanical and construction needs for over 75 years. Our excellence is not just a product of our years of experience; it’s the product of our core values brought to life by the right people. Every employee at National Heating and Ventilating strives to deliver the highest quality work and does whatever it takes to get the job done right. Contact us to find out how we can contribute to the success of your project. Contact National Heating and Ventilating for quality mechanical, HVAC, plumbing and other construction services. It’s not the company; it’s the people.